Here's the rest of what happened in August. Still totally obsessed with all of my yard flowers. 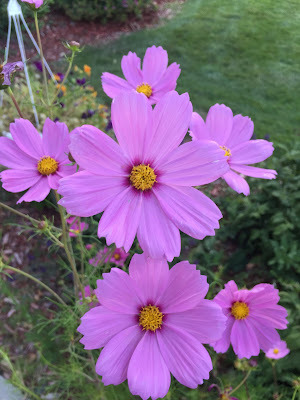 This year my cosmos didn't grow very well. I think I'll have to re-seed them for next year! I planted Dhalias because I love them and unfortunately I only got a couple of blooms. We hosted McGruff the Crime Dog and the Sandy City police at the pocket park for National Night Out Against Crime. One up-side to having Emry and Jax this summer was that I got to try my hand at girl-hair do's. This was a fishtail braid I did on Emry one morning. Jax just being silly in dress-up clothes. Colin's work barbecue at Sugar House Park. Playing at the park with the Flores' kids. New shades for my Birthday! And a last summer bucket-list item: shaved ice! Ryan turned 12 this year! We had his good buddies come over for a Mario Cart tournament, dinner and cake! 12 is a big year for young Mormon men because it's the year they receive the priesthood. Ryan was ordained a Deacon on the Sunday after his birthday. We are so proud of the great young man our boy is becoming. 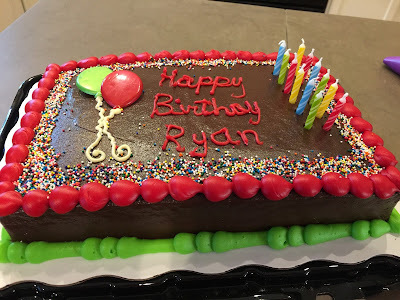 Happy Birthday, Ryan! Ryan had kind of a rough start to the school year this year. On the first day of school, AND his 12th Birthday, he woke up sick. There was no way he was going to be able to go to school and he was SO bummed! Ryan hasn't missed a day of school since fourth grade so he was pretty bummed to be starting out that way, but... what can you do? Anyway, by the second day he was ready to go back. He didn't go on the third day but by Saturday he was feeling well enough for his Birthday. Ryan is at Indian Hills for his 7th Grade year. 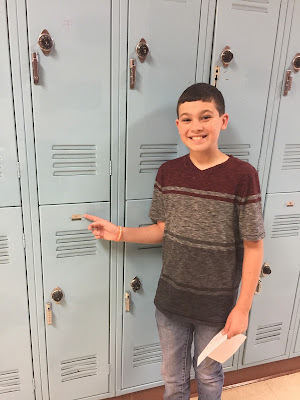 This is his second year at IHMS and he's taking 2 honors classes. He's also taking band again and is excited for his electives: FACS and Art! Indian Hills is being remodeled this year so he's being bussed down to the alternate location. Grandpa Shane helped Evan design, build, sand, and paint his Pinewood Derby car. This is the first time either of the boys has done a Pinewood Derby. Most years we've done the Rain-gutter regatta and one time we did the space derby. 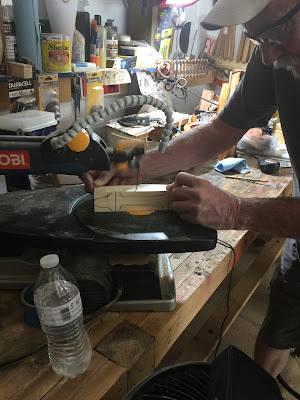 I was pretty nervous about building a pinewood derby car, but Grandpa Shane is a pro! Evan did a good job designing and helping build his car. He painted it as a watermelon. 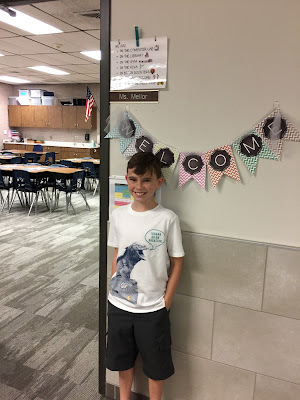 Evan is at Sunrise Elementary in Mrs. Mellor's 4th Grade class this year. He is excited to be back at Sunrise and we've heard lots of amazing things about Mrs. Mellor. The day before school began, we went over to the school to the Meet and Greet. Basically it's so that the kids can find their classroom, meet the teacher, and know where to line-up for their morning. The next day was the first day of school. The kids at the front of the school walk in on a red carpet. I love that our district rolls out the red carpet for schools across the valley, it really makes the day special. Evan and Izzie on the first day of school, trying not to be blinded by the morning sun. Evan in line for the first day!